what to do with large classes. First of all, you have to set-cut routines for as many activities as possible (for example, beginning a lesson, dividing into groups, distributing papers. Students should be said the importance of pair and group work in building communication skills And that this activities requires active participation and listening to others. Each student has to be assigned a role, for example, students who don’t want to speak can be the facilitators and their role is to make sure that all members participate or report the ideas or decisions of the group. Even if it is impossible to change places or move chairs they can speak with the person to the left, right, front, back of them. Students should know that you are helping whenever they need it for them not to feel lost. Also a very useful technique you can use is the “jigsaw” where each group is responsible for learning a specific part of the topic. And finally, students exchange their written works for peer editing and rewriting before you collect it. Well I hope these tips help you to improve your job with large classes, I have been applying them few time ago and they work very well, sometimes I don’t have time to follow them step by step but it is matter of practice and effort. Thank you for sharing this interesting post, I have had some experiences with big groups and I know it represents a challenge for us. There are some cases when we as teachers plan great activities, or at least we think they are great, but because of the group´s size they don´t come up as we expect. The advices that you give in your post seem to offer an alternative to some of the problems that we face with big groups, I will definitely try to use them in my classes. I thin is an important topic because sometimes students are very distracted, they do not want to do nothing and that scape out of control. so is important teachers plan more than one activity for students and specially for those who are more rebelious in the class. I think is a goog topic to discuss about. Reading your post was very interesting. Some times when educators encounter that teaching languague can be difficult due to the limited space in the classroom, teachers use other techniques that can help students to interact each other as pair pars or in teams for the benefit of the learners. I also found very important that if a professor uses team or pair activities as you said above, making clear that the role of each cell within the whole plays an important role for succeding in the language learning. Finally, you can also use tachnology in your classroom to show short video clips, recordings, visuals, realia, authentic material and the last fashion…mobil phones in teaching where learners may remain sit and at the same time learning outside the classes. Hello Viry your advices are going to help me a lot, I have large groups and discipline is a definition that does not characterize this school, I have been searching some strategies which could work with my students I am really concern because they are the future of our country therefore I don’t like to discourage them with punishment at least not in my class, I need to find other kind of solution. Some people told me that using brain gymnastic is a good idea to achive discipline in our classroom in the next days I am going to search and implement some of this brain exercises and if they work I will send you a message. Hi Viri. I understand you since I work with large groups too (well not as big as yours), in my post called “Mextesol 2011:Chapter Morelia” I posted a video about a lecture given by Jeremy Harmer dealing with large classrooms management I believe you can benefit a lot from his advice ( I just posted the fist part of 9 videos, but you can easily find them on youtube). Besides I want to thank you for sharing the “Jigsaw” activity with us, I found it really interesting… I will definitely apply it in my class. You must have a headache everyday you leave you work. I only work with a maximum of 25 student. That is my limit permitted and have had only 15 students to work with. Time must be a grave factor for you because working with large groups consumes much time of your hour (50min) in most cases. 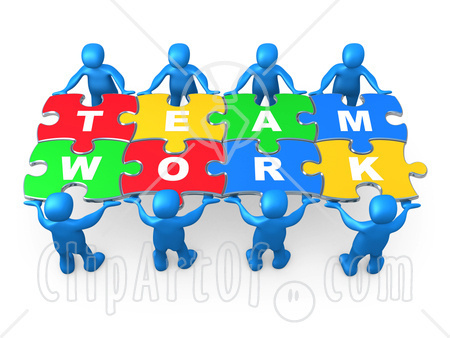 My advise to you is working in groups has proven to be very productive for me and jigsaws are great too.